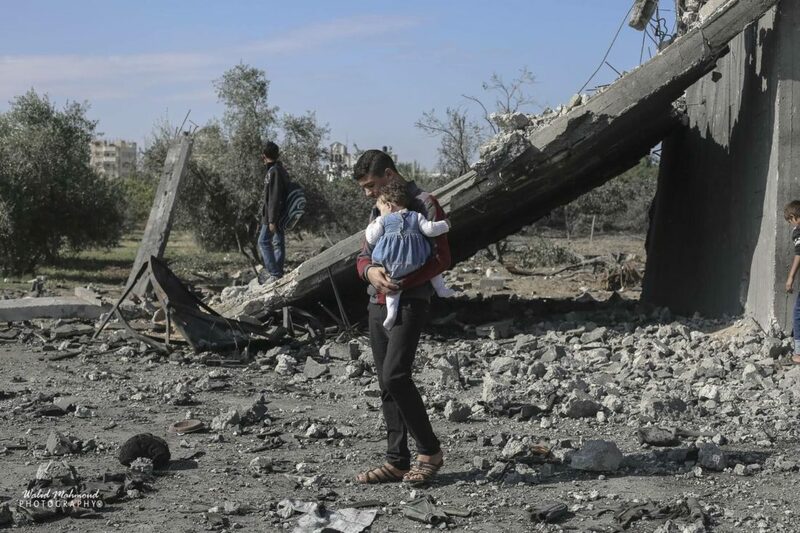 Jewish Voice for Peace is deeply alarmed by the escalation of violence in Gaza, in which 14 Palestinians and an Israeli soldier have been killed in two days. We urge a return to ceasefire negotiations, and call for the end to Israel’s illegal 11-year siege on Gaza, which has polluted 97% of the drinking water and decimated Gaza’s economy. We offer our support and solidarity to the popular grassroots Great March of Return protests in Gaza, which have continued weekly since the end of March, and which we believe offer the greatest hope for peace, dignity and justice for all peoples in Palestine and Israel. Monday night witnessed some of the heaviest bombing in Gaza since the 2014 war, with over a hundred airstrikes in civilian centers in Gaza, and hundreds of missiles fired from Gaza into Israel. The current escalation was caused by the assassination of a senior Hamas official on Sunday by an Israeli special forces unit – the latest of over 70 such incursions this year by the Israeli military into Gaza, according to UN figures. JVP also notes that the current escalation of violence in Gaza is fueled by a U.S. foreign policy which enables and emboldens Israeli military actions.